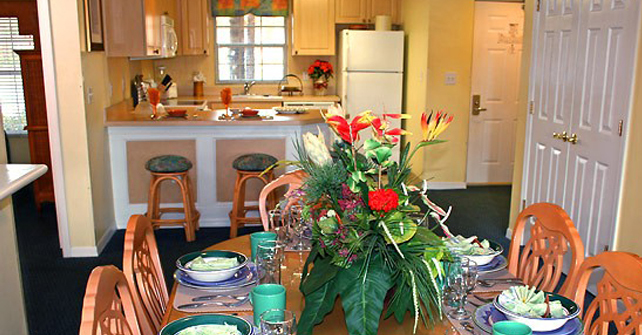 Liki Tiki Village spacious three-bedroom, three-bath Orlando vacation condo affords ample family vacation accommodations. A combination of the one and the two-bedroom units provide space to sleep up to 10 people. A king-sized bed is found in the master bedroom of the two-bedroom unit, and the one-bedroom unit features a queen-sized bed in the master bedroom. The third bedroom features two twin beds, and both living areas have queen-sized sofa-sleepers. 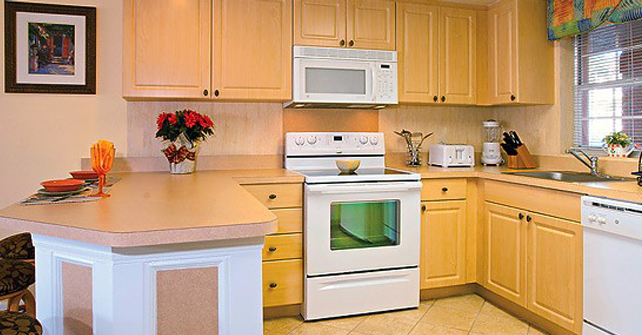 The kitchens are fully-equipped, "just like home" for dining in or preparing snacks at our family focused resort in Orlando, Florida. TVs are located in the master bedrooms and the living areas for differing viewing pleasures. Each unit has a washer and dryer for your convenience. 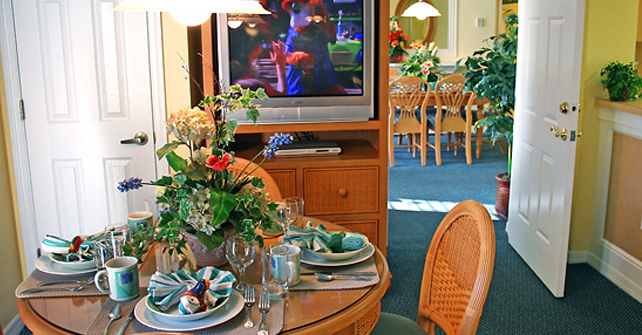 Our three-bedroom condos are approximately 1,500 square feet with plenty of space for your family's Orlando vacation. With over 600 units at Liki Tiki Village, it is possible you may be booked in a 2-story townhome or in one of our high-rise buildings. All townhomes are two-bedroom, two-bath units. The high-rise has a combination of one, two, and three-bedroom units. All high-rise buildings have elevator access. Liki Tiki Village is a condominium style property, daily housekeeping is not included. Should you desire housekeeping services during your stay, they are available for a nominal fee and may be arranged with our resort staff upon your arrival. 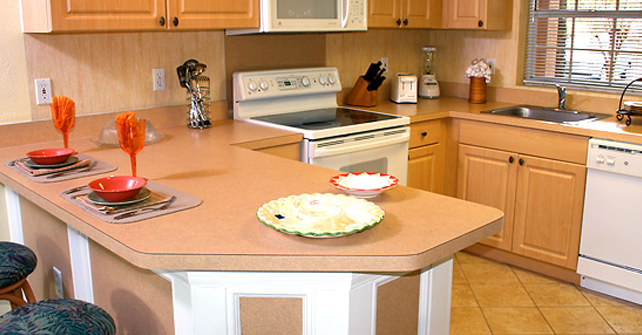 Features, furnishings, and amenities are subject to change. Please note that there might be additional fees associated with the use of our leisure center, resort facilities and WiFi.